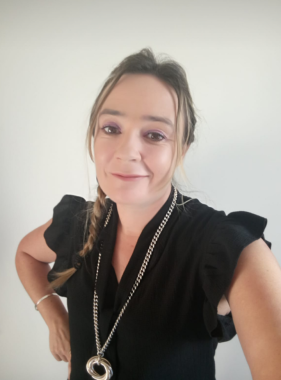 My name is Carla Woodburn, I hope you enjoy my first feature as the new editor of the Scots Poetry section of The Scots Language Centre website. I am fair chuft tae be working here. I'm taking this opportunity as its my first feature, to introduce myself and share one of my own poems with you, before we start showcasing other wonderful Scots poets work. I will be featuring a new Scots poet each month with links to their website and publications. I am involved a great deal with poetry, currently working with Tell It Slant Poetry Bookshop running Express Yourself monthly poetry events and a weekly Express Yourself poetry radio show on Sunny G Radio. Poetry is fun, an a git a fair muckle a pleasure fae it. You are aw mair than welcome tae email me oan poetry@scotslanguage.com . A hae a fun website www.misswoodburn.com. My poem is a short piece about myself and where I am from originally, Tain in The Highlands. I now live in bonnie Clydebank. I hope you enjoy it. A Heilan bairn of the toon of Tain. They didnae Ken their daughter widnae blether wae the same Glesga tunin. Played the bagpipes in class. Jumped the hay bails and dry grass. Kin talk like a teuchter if asked. Albeit a bit mare Glesga as time passed. Wis my poetry which av ayeweys held dear. An lang live Scots langage an poetry.